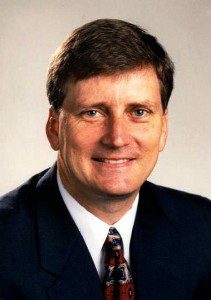 Would you like to be more effective in executing your business strategy? 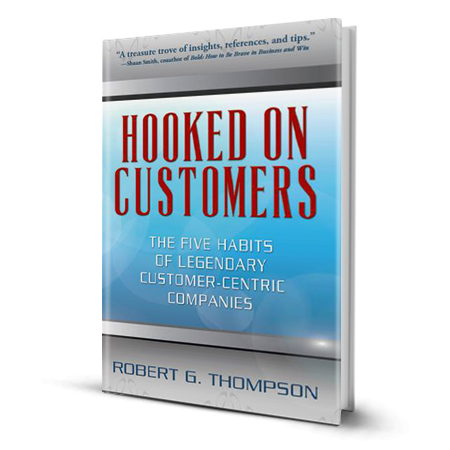 Hooked on Customers takes a fresh look at customer-centric business management, exploring what Bob Thompson has identified as the five key organizational habits that enable any company to execute its business strategy more effectively and, ultimately, to outperform its competitors. Ideal for CEOs, Chief Customer Officers and other senior business leaders with cross-functional responsibilities, a chapter is dedicated to each of the habits. What you’ll get: Research, examples and questions to stimulate your action. What’s missing? Simplistic and onedimensional “formulas” for success. This book will make you think! Download a FREE sample chapter today by clicking on the button below. Sample will open in new tab. View online or right click the sample and save it to your computer to read later. Follow Bob on Twitter: @Bob_Thompson, and find him on LinkedIn and Google+.